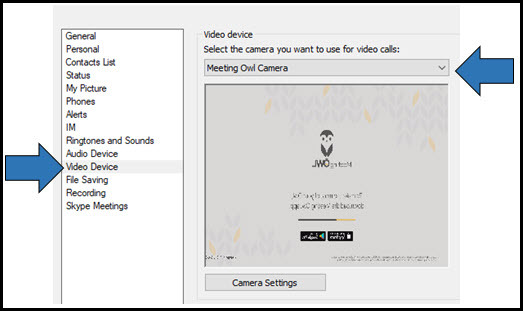 How to set up an OWl camera within Skype, as well as a description of the device and functions. 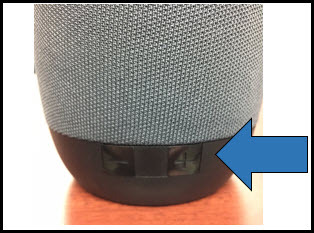 It is a 360 degrees camera that automatically focuses on the current speaker. 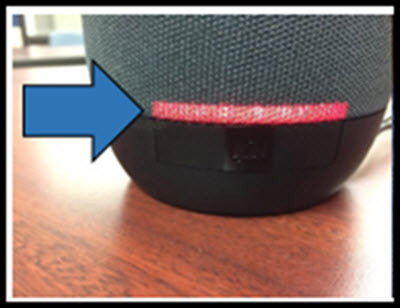 It contains a camera, microphone, and speaker. 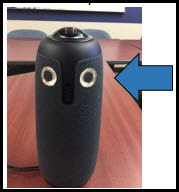 OWL has the ability to listen to up to two or three active speakers and is designed to show the entire room. 1. Verify the OWL is plugged in to the back of the computer and plugged into the power brick. 2. Verify that Windows is detecting the webcam. 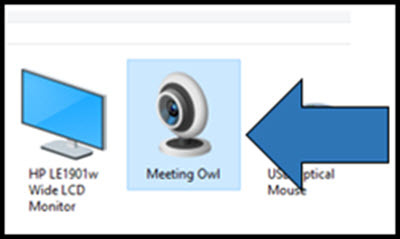 Click on the Windows button, search for "control panel," click Devices and Printers, ensure that Meeting OWL is showing up under "Devices." 1. 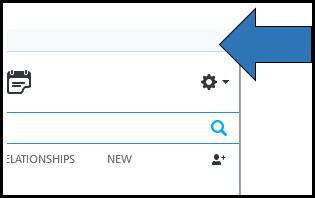 On the Skype home window, click on options tool icon in Skype. 2. Select Video Device option from the left menu. 3. Change the camera to "Meeting OWL Camera." 4. When the OWL's camera is on, it's eyes will light up. Note: the notes will not move, the video is a panoramic camera on the top (no moving parts). 5. If audio is muted, you will see this red light on the OWL and the red mute icon will appear in Skype. Toggle mute on and off by pressing the mute button under the red light on base of OWL. You won't need to use the speakers in the room if you are using the OWL. 6. If volume is too low, you can adjust the audio on the back of the OWL.